Through sunshine or storm the building remains open to all. Four years ago this month, the day after our old dog Daisy had died, we took a trip over to West Bay hoping that the new landscape that was shortly to become our home would bring some comfort. We wandered around the harbour, took a long walk over the cliffs and when we returned to the harbour we discovered an old Methodist church where an exhibition was being held. On that day little did we know that this building would play such a huge part in our lives over the following few years and the reason my blogging activity has been so sparse lately! 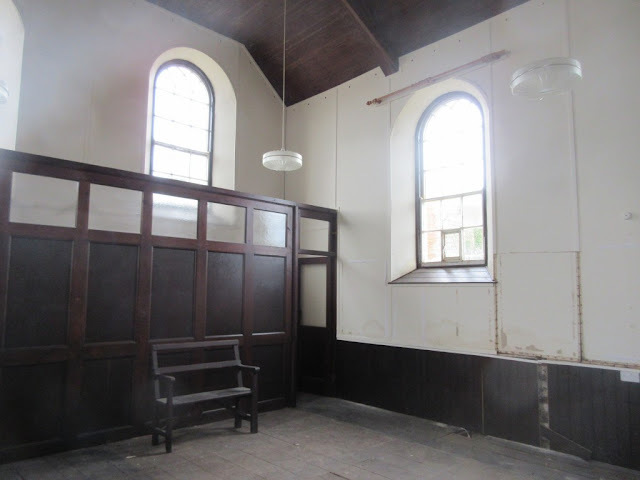 The building belonged to a local charitable trust that was concerned in bringing old buildings back into use. 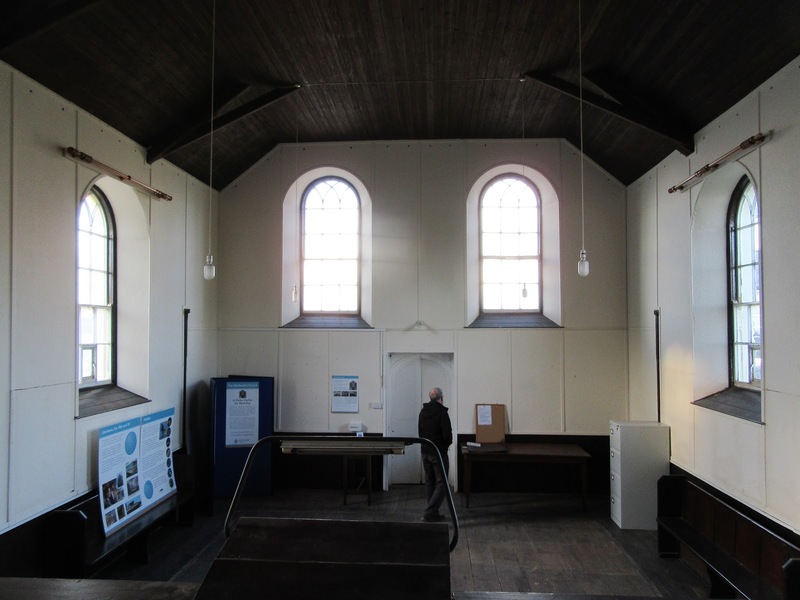 Due to a dwindling congregation and lack of helpers the Methodists had handed the building over to the Local Council in 2006 with the stipulation that the building should be for Community use. Lots of hard work had been done by a a group of dedicated volunteers looking at various options and public opinion had been sought for its future uses - the most popular option being a Visitor Centre. I always feel sad for buildings that lie empty, abandoned or ruined particularly those that have previously been homes or been an important part of people's lives but I have never done anything about it. This time however, I instantly felt a connection to the building and was keen to get involved in the project, others involved have also felt this too! It wasn't until a year later that a new committee was formed and as I was still working at the time my husband went in my place and became accidentally involved too! The Methodist Church was built in 1849 by a local ship builder. The Methodist Movement had broken away from the Church of England in the 1700's and had become widespread and popular particularly in the South West of England. The building was sound and had stood the test of time but it need some remedial work to repair and adapt the building to modern requirements, all of which could cost money. We applied for the Coastal Community Fund and despite being over-subscribed we were extremely surprised and delighted to hear last April that we had been awarded the grant. The building work started this February and finished in June. All those involved in this part worked so hard and created a even more beautiful and special building, that everyone is so proud of. 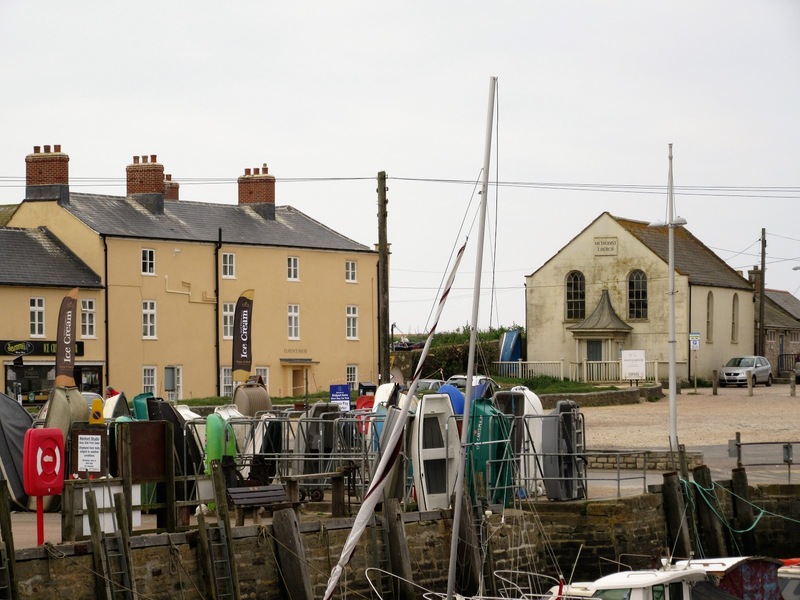 West Bay is unique it is a place of many contrasts and does not conform to the image of many seaside locations and thereby attracts different views. It has spectacular scenery, has been a busy working harbour for much of its lifetime, and also a popular holiday destination. More than anywhere I know it seems to pull people back time and time again to visit, but there are also those who don't rate it very highly too. To reflect the place we wanted something more than a Museum or a Visitor Centre and came up with the concept of a Discovery Centre with the whole emphasis to tell the stories of the past but also to inspire the public to go out and explore West Bay in a different way. This was a huge challenge as we had gathered a huge amount of information and the space available is very small. Help however was at hand by using experienced designers who helped us come up with a plan to meet our ideas and most of our ambitions! It has been an amazing and tiring journey (my husband and I have regularly been working 10 hour days for a number of months), and we have met some lovely people and discovered some fantastic stories along the way. 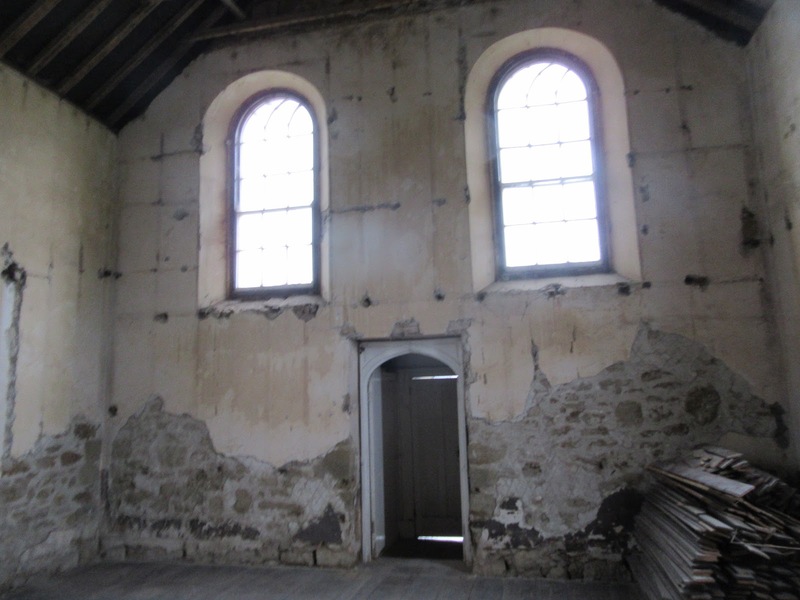 Those of us that have given so much of our time voluntarily, now have the reward of seeing the building brought back into community use and being enjoyed and treasured once more by locals and tourists while at the same time helping to strengthen our local coastal economy. We opened last Wednesday and it has been nice to hear positive reactions from visitors and tourists but most of all from some of the Methodists who previously worshiped there. Not surprisingly I would recommend a visit if you are ever in the area, you might even meet me volunteering there! It looks wonderful Sarah! It is amazing what volunteers can accomplish! Congratulations to you, your husband and others of the group. What a wonderful project, Sarah! If I ever make it back to your area I will be sure to visit it. Well done on all your hard work! What a lot of work for a great project! I love this idea of a discovery centre to tell stories of the area. You are to be commended (along with your husband) for your dedication. Congratulations to you, your husband and the community who helped restored this old church and now it can tell the stories and history of the area. What a worthwhile project! We'd love to see visit one day. Crossing fingers! Congratulations on a beauriful job Sarah. A wonderful effort. Volunteers do some marvellous things in our country. Dearest Sarah, good morning! What a renovation, what a difference some care, a few hard workers but most of all the vision that it takes to make all things possible. Oh, do I wish I could be in the area, a large area of England for that matter! We've been wanting to see your country for some time now, but I don't know when we'll ever be able to travel again. Thank you as well, for coming to comment on the blog post I took down; I was happy with it as a cathartic piece of writing, but decided I'd leave it a private matter. Nonetheless, I was blindsided by such a heartless word but I'm moving on and blessed by the continual supportive community that makes me stay in Blogland. Thank you for visiting. Dear Sarah - you and your husband have integrated so well into your new home and environment and in such a short time too. This was a lovely project to work on both historically and as an interesting venue for locals and visitors alike. If ever I am back down your way, I shall definitely make a point of visiting the old Methodist building. Congratulations to all a wonderful project. I have to confess to not knowing about Westbay. That was quite an undertaking! But it must be very gratifying to see it finished and being used. I feel the same way about derelict buildings and especially houses--very sad to see them vacant and decaying. Well done, the building now looks excellent, both inside and out. We have been to the art gallery in West Bay several times and shall be sure to visit the Discovery Centre the next time we are in the area. I'm so delighted that this lovely building is open and at work again! Years ago I journeyed with the then Assistant Curator of the Priest's House in Wimborne to help set up a museum in the old Salt House but that never really worked and it was eventually closed. I will definitely pop in at the Chapel at the first opportunity! It was a bit misconceived. My role was only cutting out captions and moving stuff about! Congratulations on such an achievement, I know you and John have worked so hard on this project. I shall look forward to visiting in the not too distant future. Hello Sarah, so good to hear this news and see the photos. Well done to both of you. Delighted to hear you'll have more time on your hands now and can start to enjoy other things and blogging more. P.S. like to new look blog. Wonderful! I will drop in next time I'm in the area.